View More In Allspice - Page 4. Cloves have been used for centuries to spice different foods, in medicine and also a Victorian era room freshener. 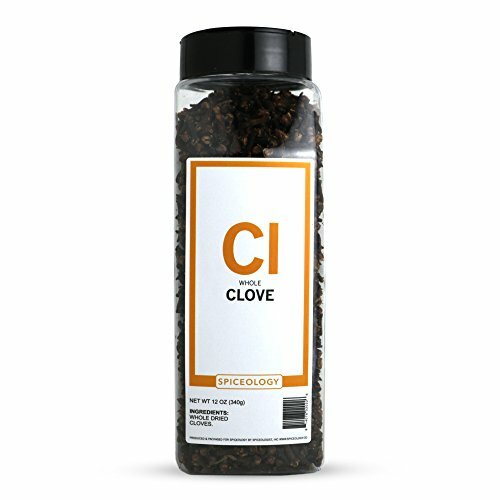 Whole cloves can be used to add aromatic and flavor depth to hot beverages, pies & cookies and savory dishes. Spiceology sources high quality premium fresh spices, herbs and salts for chefs and spice enthusiasts. Whole Cloves are warm, sweet and woody and can be used to add aromatic depth to sweet and savory dishes. Use Whole Cloves in curries, marinades and baking. If you have any questions about this product by Spiceologist, contact us by completing and submitting the form below. If you are looking for a specif part number, please include it with your message.